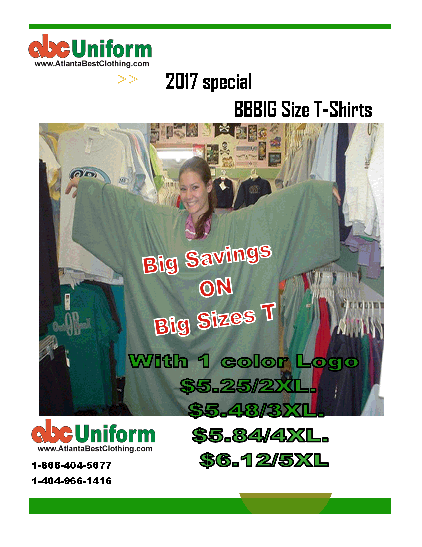 ABC Uniforms is a company that specializes in the printing and embroidery of logos and images on to clothes, hats, aprons and more! At ABC Uniforms, we assure the best quality of our items as well as a speedy delivery time. 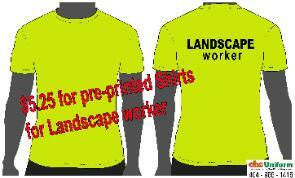 the responsibility of a supplier like us. 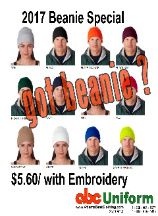 ABC Uniform Inc. produces embroidery and print to garment. Below, you can check out which imprint method you need for your next project. Also, feel free to stop in our showroom that is conveniently located in Duluth GA.